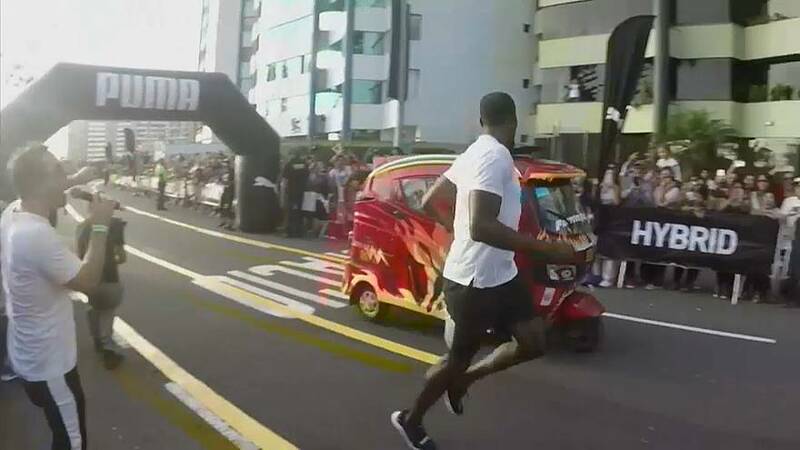 Eight-time Olympic gold medallist Usain Bolt competed against a tuk-tuk in the Peruvian capital Lima on Tuesday, and won. The vehicle never stood a chance, as the aptly named Bolt jogged ahead of it at a leisurely pace. The Jamaican athlete won gold in the 100m, 200m and 4x100m relays in the 2008, 2012 and 2016 Olympic Games, although he later lost his gold in the 2008 relays after a team mate was disqualified for failing an anti-doping test. Bolt, 32, retired after the 2017 World Athletics Championships in London. He greeted the hundreds of cheering fans who turned out for the Lima event with his signature lightning bolt pose, saying: "I didn't know there was going to be so much people, but I'm excited and it's awesome to see so much people coming out." Sri Lanka: Let’s play Tuk Tuk Polo!